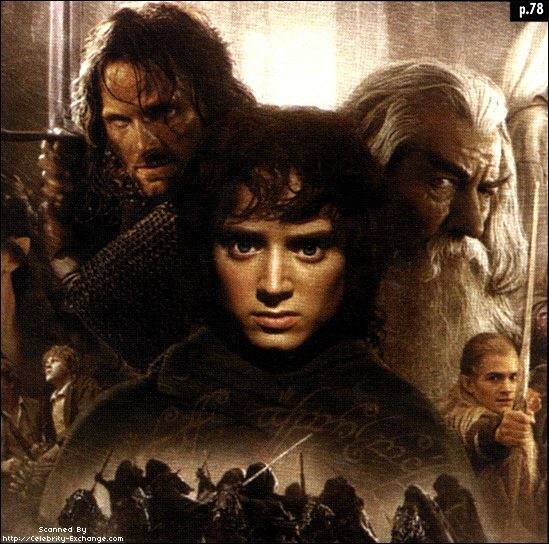 I think that The Lord of the Rings is awesome. If you haven't seen the movies or read the books you should. The story line is great. I love it! The Lord of the Rings is an adventure of two hobbits trying to get into the heart of Mordor to throw the one ring of Sauron into Mount Doom. While that is happening there are awesome battles happening in Gondor and Rohan. Is the King of Gondor going to return? What do you think? Tell me who your favorite character is by voting on my poll. Then if you have any feed back you wanna give me then sign my guestbook and I'll get right on it! Thanks!